A specially formulated screen cleaner to work effectively on TFT, LCD and Plasma screens without damaging or removing sensitive coatings (also suitable for cleaning standard CRT monitors). Apply a small amount to the surface to be cleaned and wipe gently with a suitable soft clean cloth (e.g. Glass/Polishing E-Cloth). Dust, dirt and marks are easily removed leaving a clean smooth finish. Low conductivity properties (17% of that of water) ensure that the risk of damage from accidental contact with live parts is substantially reduced. Cleans up to 100 standard screens! Item arrived very promptly. Thank you. 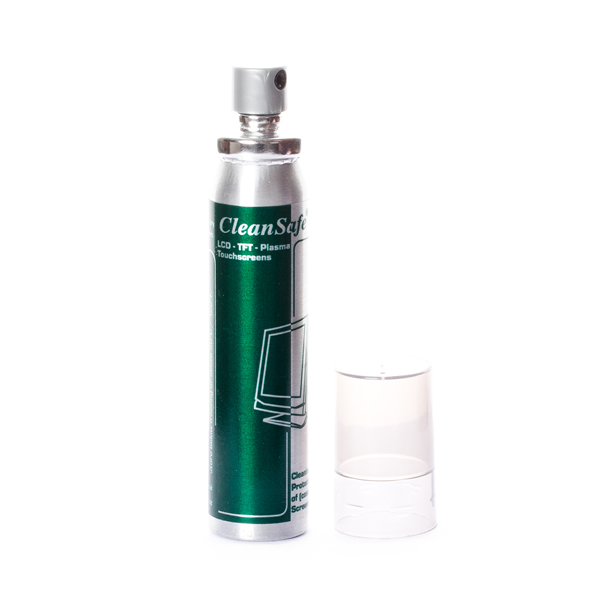 I have used this spray cleaner before and know it is of a very good quality. great product. works well. only a small amount needed each time. As expected. I have used this product many times - excellent. Arrived on time in first class condition.